I love the circus. More, maybe, than most adults. I did, after all, spend a summer at circus school, in San Francisco, after my junior year and in college, I took a theater intensive in "post-modern clowning." So I may be biased, yet it's difficult for me to imagine someone not loving the circus, provided that person has a pulse. Of all the circuses in all the world, the Big Apple Circus is my favorite. I've ben going there since I was a child, and for a number of years when my two older kids were little, I used to take them every year. Then my little one was born and with three young kids to care for, ambitious endeavors like days at the circus were temporarily suspended. It took me six years to get my mom-of-three sea legs, but finally, I decided to take all three kids to see the Big Apple Circus. 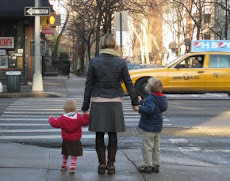 My older kids, who remembered the fun, were excited and piqued my little one, Terza's interest. She's never been but was sold after watching a few clips on Youtube and hearing the words, "cotton candy." Then we got her under the big tent and her excitement blossomed into something bigger, something so big is it almost un-nameable. Because what do you call the emotion you experience when it feels like your head it going to pop off from shock and awe and anticipation? What do you call it when you are gasping, then laughing, then screaming at full volume in a tent full of people, "NO! NO! I CAN'T BELIEVE--OH MY GOD! THIS IS INCRED--ARE YOU SEEING THIS! SHE DID IT!" That's what happened to Terza about two minutes into the overture. It's what happened to all of us. It's what always happens at the circus. This one was particularly exciting, I thought, with lots of fresh, modern, seen-here-for-the-first-time acts like horizontal juggling and a guy who clibed a free-standing ladder and a female ringmaster. But this year, in addition to the thrill and wonder I always feel, I felt something else. There was a new ingredient in the mix of emotions I experienced. Maybe it's because, since the last time I went to the circus, about five years ago, the whole world has seemed to change. Maybe it's because every time I so much as glance at the headlines of newspapers, I can't help but feels like things are scarier, darker, increasingly demoralizing of late. Whatever the reason, at the circus this year, the amazement I felt had another function. It renewed my faith in humanity. Before my unbelieving eyes, in act after act, I saw something impossible become possible. That's powerful. That's hope-renewing. When I saw the incredible Ammed Tuniziani let go on his trapeze bar and do four perfect somersaults before seamlessly catching the arms of another man waiting there, I thought, The impossible is possible. When I saw "Ironwoman" Virginia Tuells fold herself into a backbend, in heels, and support the weight of her husband as he rose to a perfect handstand on her concave stomach, I thought, The impossible is possible. When I saw the aerial artist Ekaterina Stepanova. hang by her feet off the feet of her partner Valeriy, who-knows how many feet in the air above my head, I thought, The impossible is possible. That's what the circus reminds me. That's why I go. My kids go for the cotton candy. So if that's your thing, it works too. 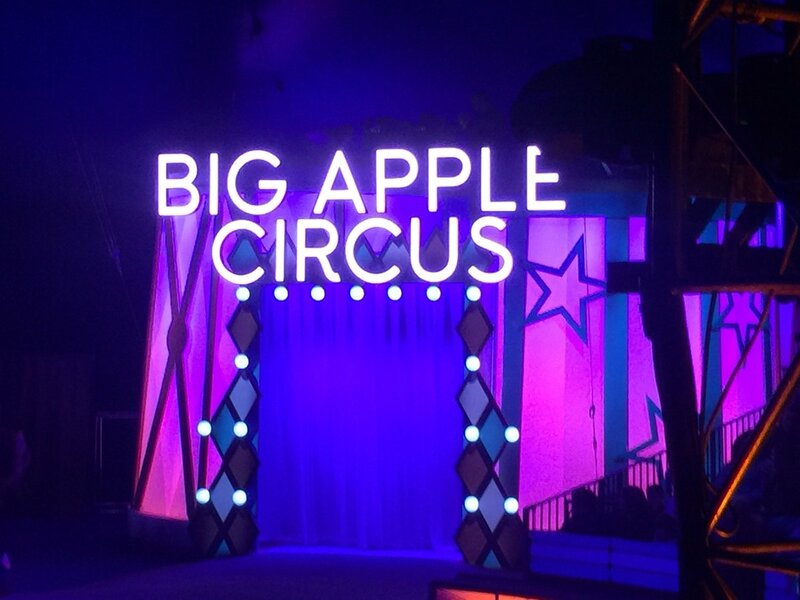 The Big Apple Circus is in town til January 27 and you can get tickets here. You literally won't believe your eyes. In a a good way. Now, many things make you feel that way? Is it me or are people vacationing more than they used to? When I was a kid,we spent a week at a beach somewhere and we were lucky, lucky dogs, super privileged to be able to do that. Maybe it's the Facebook effect -- other people' vacations are not just mentioned in passing ala 1982 but hyper-documented -- all the minutia photographed and shared -- with every photo fomenting toxic envy. Maybe it's the fact that I live in a fancier neighborhood than my parents did when I was a kid, so my neighbors rally are taking off for two months at a time. Whatever the reason, it feels like everyone i know is spending all summer frolicking in dazzling turquoise oceans or jumping into serene lakes or eating ice cream in front of the Eiffel Tower/ Leaning Tower/ London Tower. All of which is to say, I am experiencing a higher-than-usual dose of vacation envy. It doesn't help that at the start of this week, Brooklyn was approximately five hundred degrees, in the shade. I started to understand why people in the 80s used to wear sweatbands. What a helpful accessory. It is summer in the city and it is hot and muggy and all the not-hot, not-muggy places are so incredibly unthinkably, nauseatingly overcrowded - Pier 6, anyone? Feel like having a nervous collapse today? All the non-hot, not-muggy places which are NOT crowded are expensive, too expensive, as in "If I could afford this, I'd be ON VACATION AND NOT IN THIS CITY"
It gets a girl cranky. Clearly. And then yesterday evening, at about 6pm, we were waiting for David to get home from work at my grandmother's house -- she'd made spaghetti ala carbonara for dinner -- and I said to Seconda, "I'll take you to shoot some hoops." We're not a hoop-shooting or ball-batting or goal-getting sort, as you may have gleaned but she likes to dribble and it was a lovely evening so why not? Ten seconds after she started dribbling, a little girl named Charity who we didn't know came i to the courts with her dad and stepmom. The dad introduced himself and asked if Seconda wanted someone to play with. She sure did. So Charity and Seconda played b ball (the onus falling on Charity to do so, Seconda being mainly clueless) and the dad was rebound guy (which is, apparently a thing one does). I leaned on the fence and talked to Charity's stepmom, and we watched the dad give them shooting tips and the girls give each other high fives and we talked about having kids and living in New York and not having kids and living in Atlanta. The breeze was perfect and the sound of the ball hitting the pavement was a delightful metronome not the migraine-inducing cacophany it usually is. Then my grandmother called and said: "YOU BETTA GET HERE RIGHT NOW 'CAUSE DA PASTA'S GETTIN' COLD!" and I laughed and said, "OK"
As we walked back to my grandmother's apartment, I looked at my beautiful golden-haired kid in the beautiful golden light and I thought, "Summer in the city really isn't so bad." And the pasta was still hot. 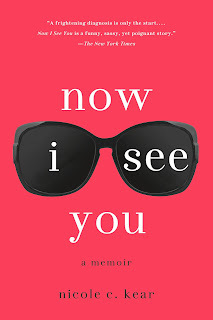 NOW I SEE YOU, now in paperback! I have news! 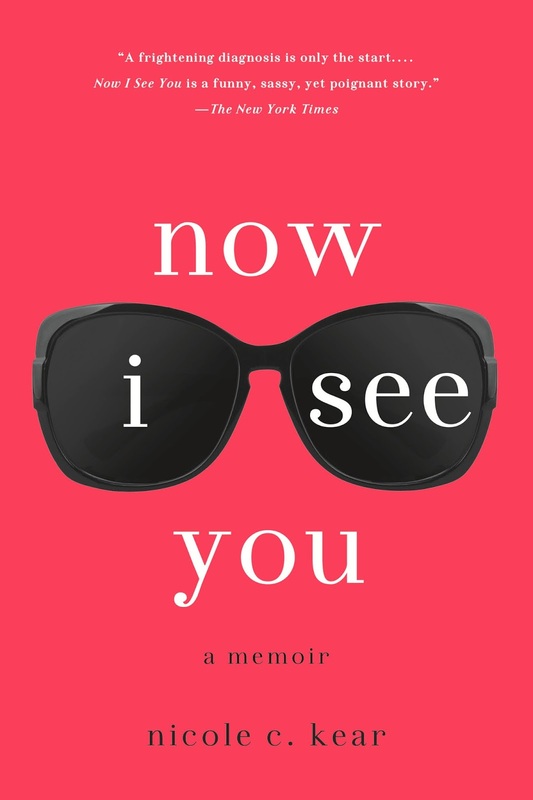 My memoir, Now I See You, is now available in paperback at Barnes and Noble, Amazon, Indie Bound and your local independent bookstore -- it's everywhere! "Huh," you are thinking. "Haven't I heard about this damn book like four hundred times already, so much so that I have wondering if I am being punished for something I did in a past lifetime? WHY IS SHE TELLING ME THIS?" 1. You haven't gotten your very own copy yet, which means now is the perfect time. Maybe you've been deterred by the ponderous weight of the hardcover, or maybe it didn't fit into your favorite purse which, let's face it, is a dealbreaker. Now you can enjoy the same self-deprecating, tragicomic goodness in a lighter version! Perfect for the subway, beach or underground bunker! 2. You already have a copy, but you have a good friend/ mother/ co-worker/ evil twin -- or all of above! -- that would enjoy the book as a gift. Studies show evil twins love Now I See You. 3. You're in a book club, or you know someone who is in a book club, or you overheard someone on the bus mentioning that they are in a book club. Now I See You is PERFECT for book clubs, proof of which is this book club discussion guide. Also, did you know I do Skype visits with book clubs? And that Now I See You was voted #1, nationwide, in Book Club Picks by IMadeThatUp.com? 4. You had a copy but you lent it your mother-in-law/ best friend/ dog and they kept it (or, in the case of the dog, ate it). And you want a copy on your bookshelf because that red! It's gorgeous! It pops! 5. You already have 10 copies clogging your shelf and frankly, they annoy you but you love me and my children and you fear they will not get a college education if you don't buy 10 more copies. If any of these scenarios fit, go buy a copy and tell everyone you know on Facebook and Twitter to do the same. If none of these scenarios fit, forgive me for the intrusion. Close this window and forget this ever happened. We will never speak of it again. If you are on the fence, maybe you'll be swayed by this praise in the press (because the press never lies, as everyone knows). "Nicole C. Kear's hilarious and poignant tale of her ever-dimming world sparkles with a winning wit and wisdom gained as much from seizing the day as from falling down." "Maybe stories don't just make us matter to each other; maybe they are also the only way to the infinite mattering he'd been after for so long ... Telling it changes other people just the slightest little bit, just as living the story changes me -- an infinitesimal change -- and that infinitesimal change ripples outward, ever smaller but everlasting. I will get forgotten but the stories will last. And so we all matter, maybe less than a lot but always more than none." I've been to four of the ten and one of them -- The Strand -- is my all-time favorite. It was just about one year ago exactly that I did a reading there, when my memoir was released. Basic takeaway of this article though is: I've got some traveling to do, I guess. I have discovered that my toddler has a highly marketable skill, though only if the market in question is Ikea. Terza can name Ikea furniture lines. Now, I know full well that Ikea furniture has Swedish names, and most likely, the names are Swedish words that mean something in Swedish and, in that respect, she's got nothing. However, were Ikea to run out of Swedish words, and find themselves in need of words that just sound vaguely Swedish, or more to the point, Ikea-ish, my daughter will be just the one they are looking for. Whenever we play with her dolls or animals or figures, and I ask what the name of the character is, she invariably begins with: "Cala." It used to be that all the character would bear the same name - Cala -- which made pretend play very confusing, a little like when I go to family functions of my best friend from high school who is Greek, because there are always 20 Georges. (Ikea will just have to forgive her the last one. Nobody's perfect). I have some exciting news that I am thrilled to share. Macmillan Kids' Imprint will be publishing the first six books in a new series for children, written by me! The series is called The Fix-It-Friends, for kids in grades K-3 and it will be released in 2017. It stars an inventive, exuberant, totally unforgettable second-grader who leads a group that help other kids with social issues. My kids (aka test readers) give it two thumbs up and assure me it's funny. Here's a viideo about the newly-launched imprint, aptly named Imprint. featuring me and some other authors! So, save a spot on your kids' bookshelves, if you please . . .
Nicole is a parenting writer who contributes essays and articles for magazines like Parenting, Parents, American Baby and Babble. She lives in Brooklyn with three children, one husband and a morbidly obese goldfish. Hip Slope Mama has become Momasphere!